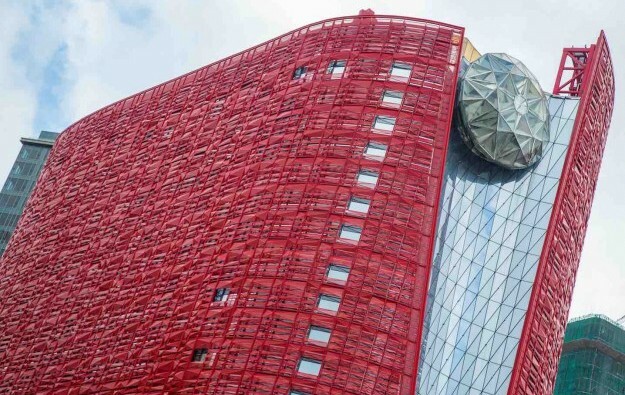 The promoter of The 13 Hotel (pictured), a new property located on the border between Coloane and the casino district of Cotai in Macau, says it is opening from today (August 31). “Our team at The 13 are thrilled to unveil this new Macau treasure and are proud to showcase our world-class offerings to our guests,” said Mark Lettenbichler, managing director of The 13 Hotel, in a statement included in a press release. The venue, promoted by South Shore Holdings Ltd, had been given the necessary licences to operate a hotel by Macao Government Tourism Office in mid-August, and had pledge in a subsequent filing to start such business for paying guests by month-end. The company said on Thursday that the hotel first guests stayed at the property “over the weekend of 24 August”. The 13 Hotel offers approximately 200 duplex suites and villas, said the firm. “We look forward to welcoming guests to the wonders that Macau and The 13 have to offer,” said Peter Coker, chairman of South Shore Holdings, quoted in Thursday’s release. South Shore Holdings aspires to have a casino at the property. In a February 25 filing, the firm said the casino at The 13 Hotel might only open by March 31, 2019, along with some shops at the complex. In a June filing, South Shore Holdings said a bank loan with a principal value of HKD3.04 billion (US$387.4 million) was as of that date payable to the lenders on demand. Ground breaking for the scheme – previously known as Louis XIII – was in April 2013, according to the 2013 annual report of the promoter, which was then known as Louis XIII Holdings Ltd.